Having dined at The Butler, Potts Point recently, I tried their jerk tofu but it just didn’t quite have the spice hit I needed. I remember making this jerk chicken dish and loving it so much that I knew that I had to keep this in my repertoire. 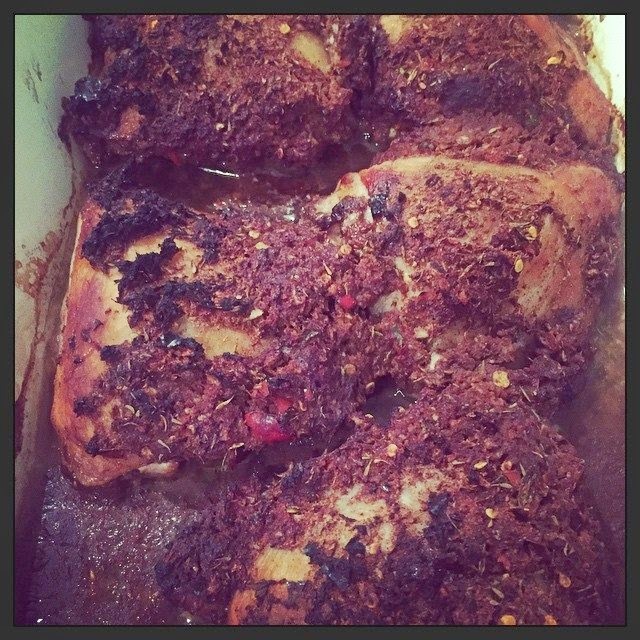 Cranking the oven up, the skin on the chicken crisps up and is encrusted with the spiced chilli marinade which is countered by the vinegar, lime, rum and spiced marinade making the meat so tender. It's so good. If you love spice then this dish is for you, as its hot. Pepe, my other half has a couple of bites before the sweat beads make an appearance. This dish packs a punch but the sweet, creamy coconut rice that is served up with it is a match made in heaven. Or a dollop of yoghurt may curtail the heat and be a soothing salve for the mouth. Check out my review of The Butler. 5. Pour and spread the marinade mix over the chicken and leave in the fridge for minimum 2 hours or covered overnight. 6. Place the chicken and all the marinade into a shallow roasting pan and roast for 40minutes. You should get a chicken that’s cooked through and tender with a thick fiery crust. 7. Place the rice into a rice cooker with the coconut milk and add 2 large pinches of salt. Check the rice is cooked through once the liquid is all absorbed. If not, give the rice another 5-10 minutes if it’s needed. 8. Serve up by piling up the dinner plate with coconut rice with the hot crusted chicken on top. *Jerk marinade can be made a day ahead. The chicken can also be marinated up to 24 hours in advance. I like using chicken thighs but feel free to use chicken breast. 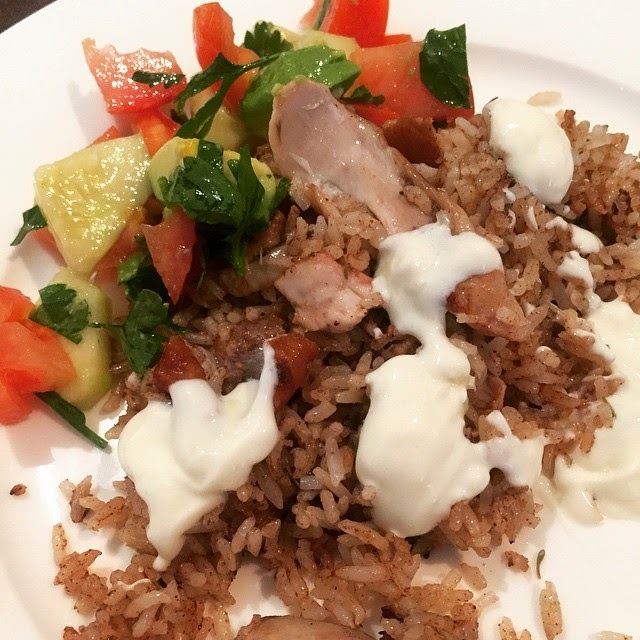 *Mix up the leftover coconut rice and shred the chicken with a fresh salad of cucumber, tomato and parsley dressed with olive oil and lemon juice.